Using our specialist local Cumbrian knowledge, we’ve searched through 100’s of the Lake District’s family friendly cottages to find those with something really special to offer for the perfect family holiday or short break in the Lakes. Self catering family holiday cottages: from a farm cottage beside a babbling brook near Keswick, a lakeside holiday cottage or lodge on Windermere, a family break in the Borrowdale Valley, a cosy village cottage near a lakeside park in Ambleside, a seaside family holiday house with games room in the Solway AONB, a child friendly countryside cottage near Coniston or even a Hadrian’s Wall holiday home with your own indoor pool. Croftside is a 4 star VisitBritain Gold award property – with a peaceful setting at Applethwaite, 1 mile from Keswick, and magnificent fell views. It is ideal for families – with an enclosed garden, travel cot, baby chair, stairgates, secure cycle storage, parking and wifi . Fell walks from the door and three restaurants and health spa facilities within walking distance. The local area has many child friendly attractions nearby including Puzzling Place, King Kong climbing wall, Go Ape, the Lakeland Wildlife Park and Mirehouse. A choice of 4 beautiful 4* cottages which sleep 2, 4, 8 or, in combination, up to 16. 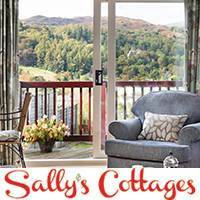 With stunning views of the Helvellyn range and walking from the door these cottages are ideal for family holidays. The cottages are set in 7 acres of gardens and woodland, with abundant wildlife including red squirrels, and a ball play paddock. Perfect for roaming, building dens and ball games. All cottages have free wi-fi, bike store, sky tv/dvd/iPOD doc, all open plan living/dining/kitchen. Sorry, no pets. Monkhouse Hill’s nine cottages are superb for families of all ages with masses of space, a fully equipped games room and outdoor play equipment. But where Monkhouse Hill is truly outstanding is their provision of everything you can think of for younger families. Pre-order free from an outstanding range of young family essentials, extras and toyboxes. Membership of a children-welcoming hotel leisure club is also included. Set in 5 acres of private grounds, these 4* & 5* family friendly Lake District cottages come with log burning stoves and some with hot tubs or saunas. Some cottages are pet friendly. One for beach lovers, just 400 yards away, but also with access to the Lakeland fells, Brambleside is a perfect family base for ice cream and sandy days at Allonby, fishing from Silloth’s prom (where kids CAN catch fish), and walks in the Lakes. Once Cumbria’s favourite Victorian holiday resort area this is now an AONB and has stunning views across the Solway Estuary to the Scottish hills. Open fire, 2 double & 2 twin bedrooms, 2 cots & 2 highchairs, large garden, games room with Playstation 2, pool table, TV/DVD/ipod combi, games, DVD’s, and CD’s. Bike etc storage. Free Wi Fi. Up to 4 pets welcome. Particularly suited to the smaller, active family you can be straight out of your door and up and away over the stunning Borrowdale fells in minutes. With secure storage for mountain bikes, incredible views all around, a large enclosed lawned garden and parking for 3 cars. 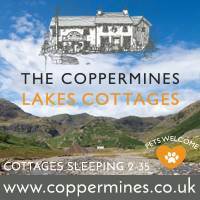 A pet friendly cottage and close to (but not too close) some really excellent pet friendly walkers’ Lakeland pubs. 1 double and 1 twin bedroom (both zip & link beds), open fire, travel cot available. Up to 2 pets welcome. Explore all that Coniston has to offer straight from the doorstep of Beechgrove. 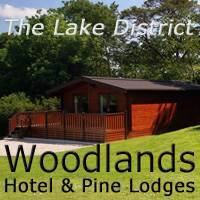 The Coniston Fells, Tarn Hows, Cycle in Grizedale Forest or hire a boat on Coniston Water only a 10 minute walk away. Beechgrove has all the amenities you would expect to find in your own home. Free Wi-Fi and private parking. Sit and relax on the patio whilst watching the children play in the safe enclosed lawned private garden. Sorry, no pets.